Welcome to our wall decor shop where you will find wall decals, decal stickers, nursery wall stickers, kids decals, girls room decals, tree wall decals, wall quotes and even urban forest vinyl wall decals for your home! This is the right place for those who"s looking for original decals. Wall art we sell is very popular these days, as vinyl decals are becoming a necessary part of many contemporary home decor items. People give wall decals different names, like wall stickers, wallpops, vinyl decals, and murals. I will be happy to answer any questions you might have about room decor from my shop. We are using matte removable vinyl that comes off easily, leaves surface clean, and will not damage your walls! In late 2008 we decided to develop the idea of offering a new labeling service via the Internet. Unknowingly, we were creating the foundations of Decdecals, an online shop selling decorative vinyls, children´s vinyls, and photomurals. The new service kicked off with an exponential growth that has continued for over 5 years. Since then, improvements and developments in customer service, order management, printing systems and digital formats have been continuous and have marked the progress of the company. Soon enough the available space proved insufficient, and the manufacturing centers, customer service and order management was together moved to a warehouse of over 500 square meters. New and more modern production processes, together with an increasingly extensive and specialized catalogue, turned our company into the oldest and largest manufacturer of decorative vinyl photomurals sold over the Internet. 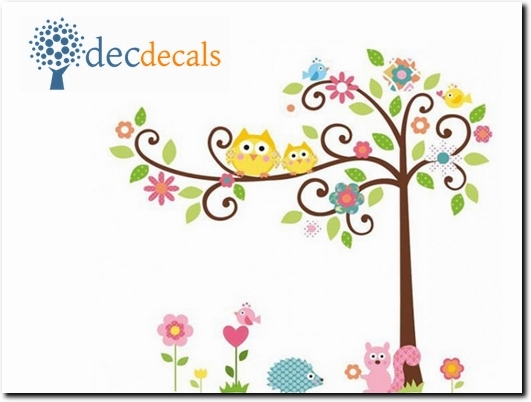 UK (Great Yarmouth, Norfolk) based business - established in 2005 - providing wall decor products. Website includes e-commerce facilities, delivery and returns information, testimonials, FAQs, full company contact details.